Standardized testing can be stressful, nerve-wracking, and downright frustrating. I should know - I’ve been there and done that, not too long ago. 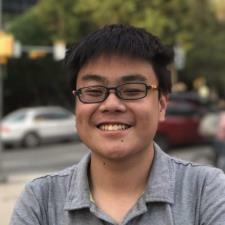 I’m Ryan, a first-year undergraduate engineering student at The University of Texas at Austin. In October of 2016, I was fortunate enough to score a 36 composite on the ACT, earning a 36, 35, 35, and 36 on the English, Math, Reading, and Science sub-sections, respectively. In May of 2018, I was also named a National Merit Scholar, after having scored in the top 0.5th percentile of PSAT test-takers in the nation. You might be thinking: “How’d he even do it? Getting a good score is impossible!” The good news is that getting a good score is highly achievable, and far, far from impossible. Thousands of students around the country are able to achieve fantastic scores on standardized tests each year, and you absolutely have the ability to be one of them. As a case in point, I did it - and so can you!With that said, getting that score up is by no means an easy feat. To be frank, there isn’t an easy way out when it comes to preparing for the PSAT or ACT. But with the right mindset, calculated study habits, and good guidance, you can put yourself in a prime position to improve your score. And that is where I come in. By giving you pointers, tips, advice, and company, hopefully I can make your test-taking journey just a little bit easier. After all, I am grateful to have found tremendous success on the PSAT and ACT, and I am eager to help you achieve the same level of success I was lucky enough to experience. Thanks, and I look forward to hearing from you soon! I received a 35 sub-score on the ACT English section on my first and only attempt. On the whole, I received a 36 composite score on the ACT on a first-time, single-sitting basis. I received a 36 sub-score on the ACT Reading section on my first and only attempt. On the whole, I received a 36 composite score on the ACT on a first-time, single-sitting basis. I received a 35 sub-score on the ACT Math section on my first and only attempt. On the whole, I received a 36 composite score on the ACT on a first-time, single-sitting basis. I received a 36 sub-score on the ACT Science section on my first and only attempt. On the whole, I received a 36 composite score on the ACT on a first-time, single-sitting basis. I achieved a PSAT score of 1500/225, a score obtained by fewer than 16,000 students in the United States each year. Of those 16,000 qualifying National Merit Semifinalists, I was among the top ~8,000 individuals selected (as National Merit Scholars) to receive a institution-based scholarship award.